the arrangement was awesome. everything is take care well. 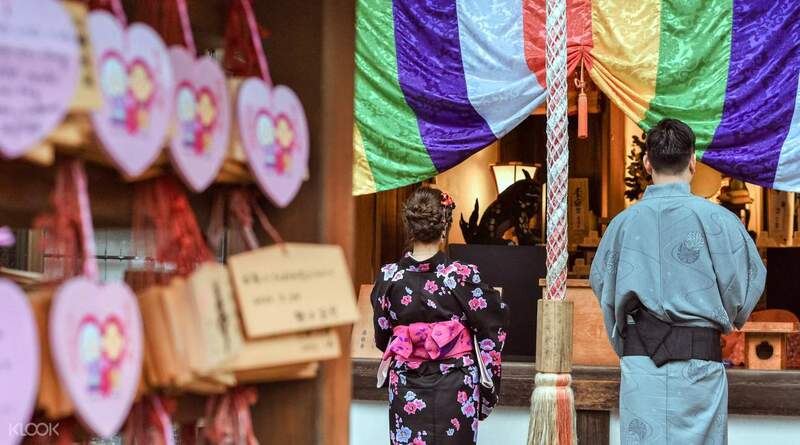 The famous Gion district is known for its geisha culture, and you can now experience walking through the streets of Kyoto dressed in kimono and embrace a tradition respected by the locals to this day. Upon arrival at the rental store, you will be greeted by multilingual staff who will assist you in English, Chinese, Japanese, or Korean. You will offered a large variety of prints and textiles to choose from, which can be overwhelming, but don't worry, the staff are happy to help you pick out a kimono that is perfect for you. 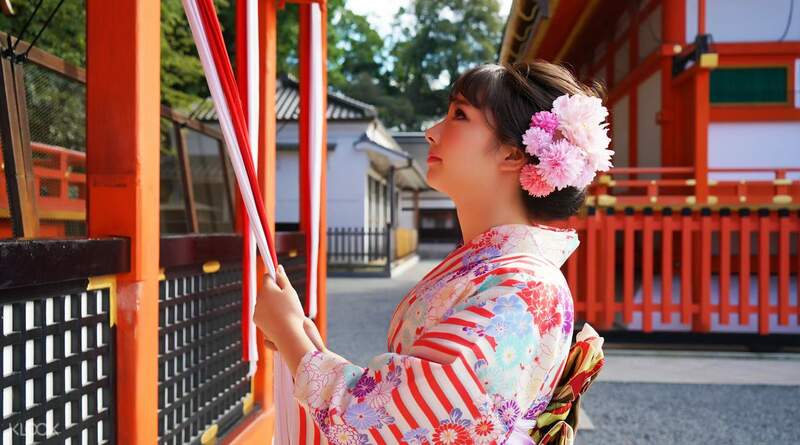 Putting on a kimono is tricky and complicated to most, so learn the secrets of how to wear and move around gracefully in a kimono from the staff. If you opt for the hair styling add-ons or choose the 'Luxurious Kimono' package, you will even get your hair done to reflect your full attire. Once you are ready, you can stroll through Kyoto in style and fully immerse yourself in the traditional atmosphere of the city. Simply return your rentals before 7:00pm on the same day, or experience a Kyoto evening in your kimono by extending your rental period to the following day for a small fee. JPY 2,000 will be charged for rental pick ups from hotels before 12:00pm on the following day. If the return is made after 12:00pm on the following day, the fee will be the same as the full rental price. It was a very nice experience! The shop is easy to find (just one minutes walk from Metro Gojo station) and there are many helpers speaking japanese/ chinese/ english in the shop assist you during the whole process with the choice of kimono, belt, hair style and bag to carry. 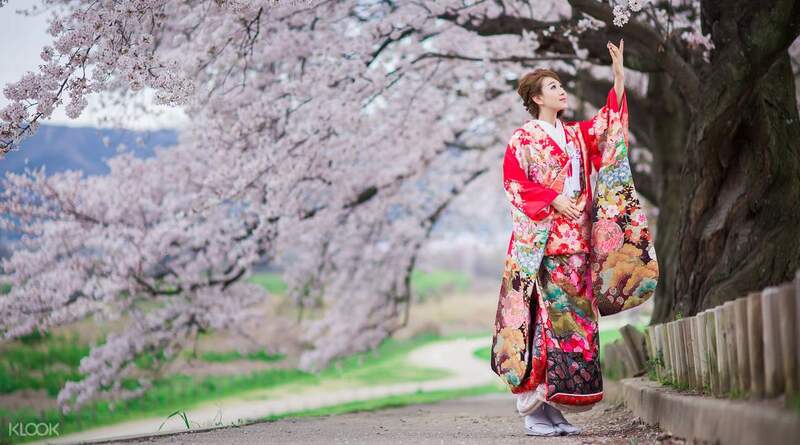 There are plenty colours and patterns of kimono for choose and underwear is included, even with the most basic version is very pretty (side note: girls are recommended to wear v neck superwarm and legging of above ankle length). The sensei who take care of the wearing of kimono and hair style are very professional! The price is also very friendly and you can rent the kimono for a whole day from 10am (as it takes you at least 30 minutes to choose and get dressed) to 6:30pm (and you can keep your belongings and clothes in the shop) It’s highly recommended! It was a very nice experience! The shop is easy to find (just one minutes walk from Metro Gojo station) and there are many helpers speaking japanese/ chinese/ english in the shop assist you during the whole process with the choice of kimono, belt, hair style and bag to carry. There are plenty colours and patterns of kimono for choose and underwear is included, even with the most basic version is very pretty (side note: girls are recommended to wear v neck superwarm and legging of above ankle length). The sensei who take care of the wearing of kimono and hair style are very professional! The price is also very friendly and you can rent the kimono for a whole day from 10am (as it takes you at least 30 minutes to choose and get dressed) to 6:30pm (and you can keep your belongings and clothes in the shop) It’s highly recommended! Location of the shop are very near to train station, easy to redeem the staff help us to dress up for the kimono are friendly and give alot idea and recommendation when choosing the kimono. Alot of choice of the kimono. Location of the shop are very near to train station, easy to redeem the staff help us to dress up for the kimono are friendly and give alot idea and recommendation when choosing the kimono. Alot of choice of the kimono. This experience was worth our time. My husband and I enjoyed this very much. We thought it would be difficult to hike at Fushimi Inari wearing Kimono but we're able to finish it. The staff at Kimono rental shop were very pleasant and considerate. We initially booked at their headquarters but we got lost and ended up at their branch. However, they accommodated us anyway and we really appreciated this gesture. Their customer service is superb, will definitely recommend to my friends. This experience was worth our time. My husband and I enjoyed this very much. We thought it would be difficult to hike at Fushimi Inari wearing Kimono but we're able to finish it. The staff at Kimono rental shop were very pleasant and considerate. We initially booked at their headquarters but we got lost and ended up at their branch. However, they accommodated us anyway and we really appreciated this gesture. Their customer service is superb, will definitely recommend to my friends. Find this on Klook and everything was easy. Just follow the instruction on Klook on you will able to fin the place. There is lots of kimono design to choose and everything is pretty! The workers are all kind and helpful. Me and my sister have a lot fun and beautiful picture to take around Kyoto. Thank you klook! Find this on Klook and everything was easy. Just follow the instruction on Klook on you will able to fin the place. There is lots of kimono design to choose and everything is pretty! The workers are all kind and helpful. Me and my sister have a lot fun and beautiful picture to take around Kyoto. Thank you klook! The service is very good. Really close to the subway exit. I love this place so much. The dressing staff are highly professional on helping us matching color with all parts of the dress. Highly recommend to who would like to wear Kimono in Kyoto. The rental cost also not high. You can come in big group the staff can handle the service quickly and kindly to customers. Hair do also fast and professional do not need to wait for long. The service is very good. Really close to the subway exit. I love this place so much. The dressing staff are highly professional on helping us matching color with all parts of the dress. Highly recommend to who would like to wear Kimono in Kyoto. The rental cost also not high. You can come in big group the staff can handle the service quickly and kindly to customers. Hair do also fast and professional do not need to wait for long. the people there were so nice and didnt have a hard time with claiming the voucher! the kimonos were pretty and they really know hoq to put it on properly. they will provide you a small bag to put your stuff so don't worry. but you have to return the kimono before 630pm. the people there were so nice and didnt have a hard time with claiming the voucher! the kimonos were pretty and they really know hoq to put it on properly. they will provide you a small bag to put your stuff so don't worry. but you have to return the kimono before 630pm. The kimono experience is so good! The staff were very nice and well organised and helpful. Also the kimono looks new and clean! The hair style is good too! Highly recommended! The kimono experience is so good! The staff were very nice and well organised and helpful. Also the kimono looks new and clean! The hair style is good too! Highly recommended! A relatively wide range of kimono to choose from. Friendly staffs who speaks Chinese and English! Excellent service🤩 I booked the basic kimono package with a hairdo (there is also several hair designs to choose from) 😍 the kimono rental place is also easy to find and very accessible by public transport (it is right outside the station exit no.4) ❤️ highly recommended! A relatively wide range of kimono to choose from. Friendly staffs who speaks Chinese and English! Excellent service🤩 I booked the basic kimono package with a hairdo (there is also several hair designs to choose from) 😍 the kimono rental place is also easy to find and very accessible by public transport (it is right outside the station exit no.4) ❤️ highly recommended! Location of the place was pretty easy to find, especially when the instructions clearly said it was at the top floor above Yoshinoya. We purchased vouchers for 4 adults and 1 child. We reached at about 10am and it wasn’t crowded at all. Once we got there, we showed them the vouchers issued by klook and they immediately ushered us to choose our kimonos. They do have quite a big selection to choose from for the adults. After we chose our kimonos, they got us to the back room where the Japanese ladies helped us put them on. It was done fairly quickly and then it was time for hairdo. Again, we got to choose one of the hair designs that came with the package, with a simple floral hair clip to go with it. Then finally, a bag and shoes and we’re off ! The people there were proficient in Mandarin, but for English, only the lady at the counter could converse in it. Service was quick, efficient & polite. Definitely worth a try ! Location of the place was pretty easy to find, especially when the instructions clearly said it was at the top floor above Yoshinoya. We purchased vouchers for 4 adults and 1 child. We reached at about 10am and it wasn’t crowded at all. Once we got there, we showed them the vouchers issued by klook and they immediately ushered us to choose our kimonos. They do have quite a big selection to choose from for the adults. After we chose our kimonos, they got us to the back room where the Japanese ladies helped us put them on. It was done fairly quickly and then it was time for hairdo. Again, we got to choose one of the hair designs that came with the package, with a simple floral hair clip to go with it. Then finally, a bag and shoes and we’re off ! The people there were proficient in Mandarin, but for English, only the lady at the counter could converse in it. Service was quick, efficient & polite. Definitely worth a try !